50’s & 60’s Rock N’ Roll & Pop. 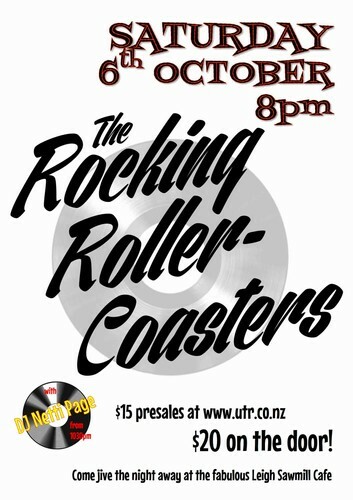 The Rocking Roller-Coasters are a group of four twenty-somethings who are dedicated to '50s and '60s rock n’ roll and pop. We’re starting early due to popular demand for this one with guest DJ Netti Page will be finishing the festivities after the band at 10ish too… excitamundo! Pre-sales at the bar till 5pm. Door from 10:30pm (DJ only).